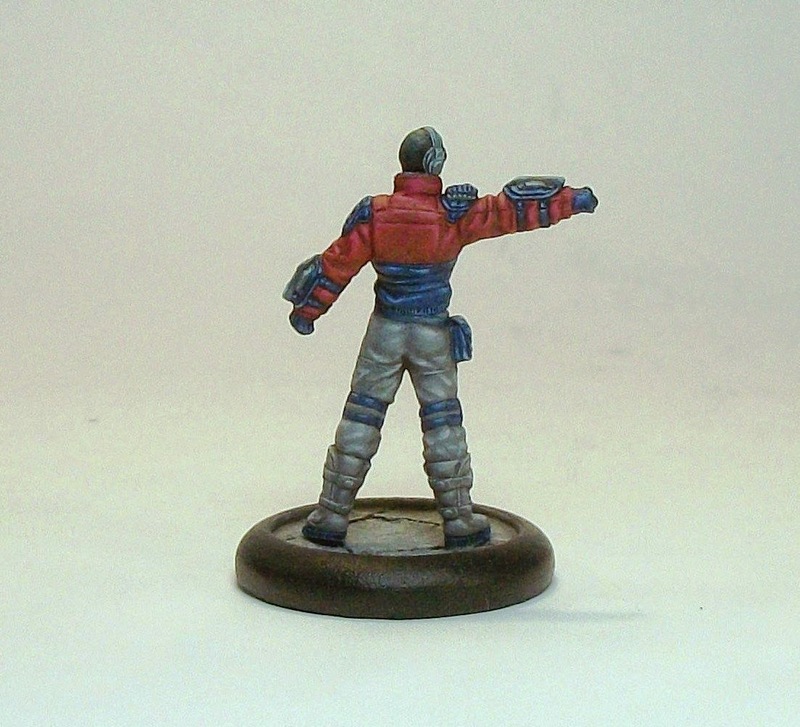 Another BMG mini painted, as I hone my crew for the Titan Games tournament in March. 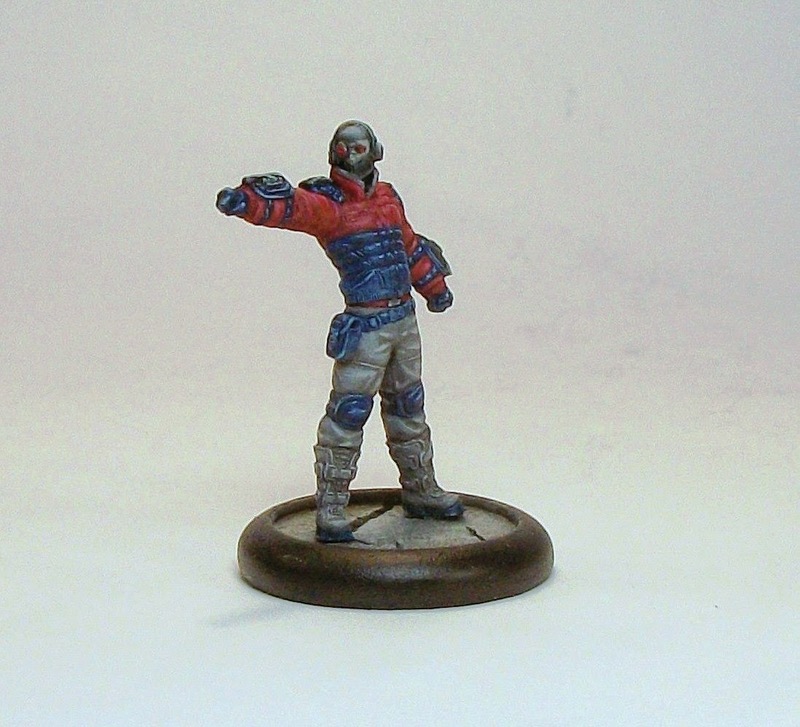 Deadshot was picked for the crew purely on the reading-up I have been doing about the character in-game - he seems to be a bit of a ranged attack beasts, and that suits me fine. I have yet to play the game, but I am always a gamer first, so therefore wanted at least a couple of solid options (Deadshot and Solomon Grundy) in my crew. From the comic books, Deadshot is a character I have enjoyed reading about for many, many years, so that does not hurt either! I struggled painting this guy, I have to admit, and so I am really glad he is finished. Unfortunately the pictures are some of the worst I have taken for a while, so please forgive me that; I totally accept I am no great shakes when it comes to pics, but these were all dull and needed lots of correction. Watchmen - pro: I have Rorschach painted already which gives me a start; con: they will probably have the most unique play-style since they don't have Leaders or Henchmen. I would need to paint 4 minis. Batman heroes - pro: I think I could put together a formidable quartet of characters so low model count; con: low model count can be a handicap from I understand. I would need to paint 4 minis for this option. 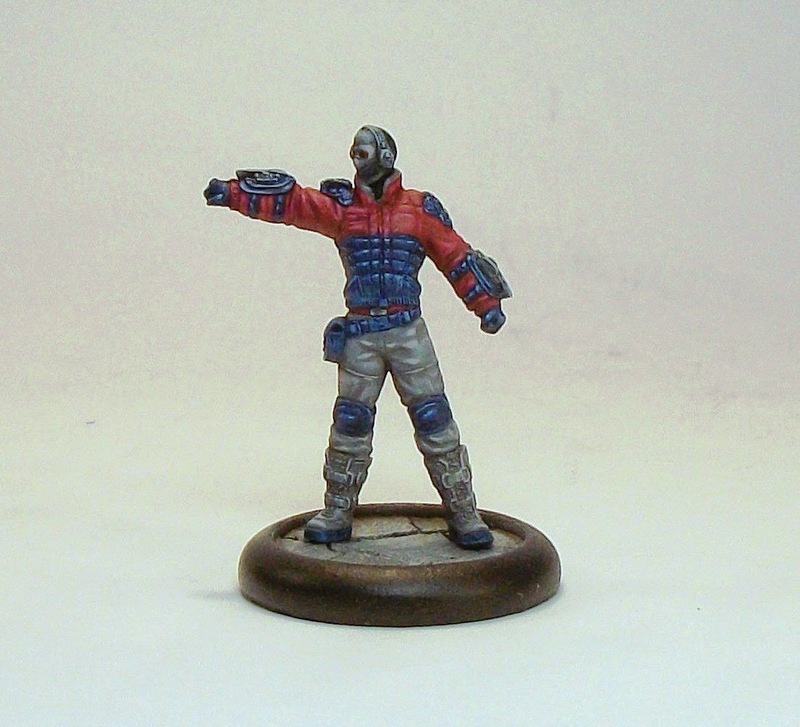 Villain crew - pro: I have 'spare' Free Agents amounting to around 185 Reputation; con the number of models to paint. I think I would be looking at a new Leader, and a Sidekick and/or Henchmen for better synergy and game options. This Kickstarter (click for link) project launched today and is already funded. The campaign is designed to develop a range of laser cut MDF items of Warehouse District terrain designed for 28mm-35mm table top miniatures. The terrain will be ideal for games of Pulp City, Batman Miniatures Game, or other contemporary urban games like Heroclix (there are 1.5 inch grid options which sound HC-friendly), Spinespur, or Zombie gaming I reckon. Well worth checking out. While I wasn't planning to back many KS projects this year, this I one that I had to support and I look forward to seeing it grow. Finally, I now have enough to field a crew for BMG after finishing the Elite Plants! It has only taken 15 months, better late than never. The crew has been built around Poison Ivy as Leader of course, and these minis come to 351 Reputation and $550, allowing some options for upgrading the Henchmen (which I will worry about when I have a better grasp on the rules). There are no Sidekicks, and the maximum of 2 Free Agents for the crew size/cost. Solomon Grundy I see as my centre-table beat-stick. If I take this crew to the Titan Games tournament I would drop the cheapest model (the 10 Rep Plant), to make it a legal list. Before the tournament I want to try and get Deadshot finished, who would replace Riddler, and would take the the value up to 348 Reputation and $850 Funding. Since I have yet to play the game, I have no clue how this crew will manage - only time will tell! Time to get some games in! 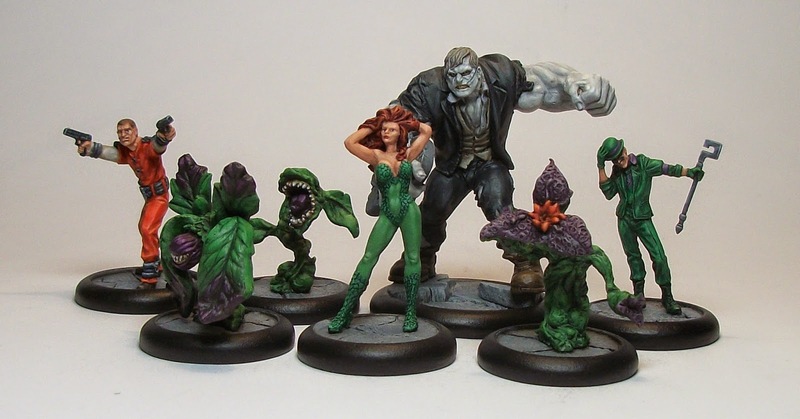 On the heels of Turk, and the real Henchmen for Poison Ivy, I finished these Plants to give me options for my crew for the Titan Games BMG tournament. Unfortunately the lighting has washed out some of the highlights, but I am fairly happy with them. So far the only Plants available are those in the pack with Poison Ivy, but I wonder if more may come eventually to bulk out the ranks. Each of the Plants may be taken more than once per crew, but they are not currently available separately. Plants are not deployed at the start of the game; instead Seed Counters are placed (nice little laser cut acrylic tokens in the pack), and Plants can be deployed from these when the owning player Raises A Plan (one of the game's phases when counters are allocated for actions in the turn ahead). The downside is that Plants are immobile, but they cannot be displaced. they cannot control Objectives either. Spore Plant - a more powerful Stun attack than the basic Plant. Plant - basic Plant with a Stun attack. Creeper Plant - also a Stun attack, but with a Poison CRT Special. Pleasingly, I have now painted 4 minis so far this month, which is great because in February last year I didn't paint anything at all for any games/ranges. 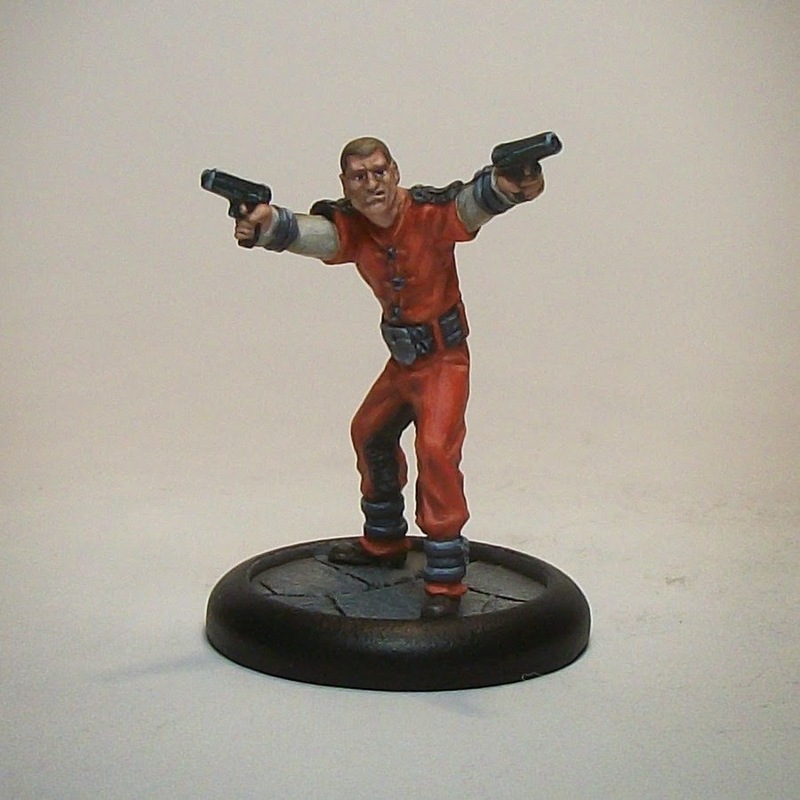 Turk is the first Henchman I have painted for BMG, and I am pretty pleased with how he turned out. My understanding is that there are two types of Henchmen: some are named types who can be taken once per crew, while others are unnamed types who can be taken multiple times. A couple of criticisms of BMG I would be open about is that I feel the game overly pushes the use of Henchmen at the expense of the stars - the costumed heroes and villains; but worse I feel, is that some of the Henchmen minis that can be taken multiple times are mostly or all included in packs with models that can only be taken once. I think given the premium pricing structure of the BMG range, that Knight Models could and should have ensured easier ways to get the multiples without buying redundant copies of models. It does not affect me - one of each is enough for me - but it clearly impacts on how some players want to play, especially as KM have set the game and range up that way. The above gripes aside, the reasons for tackling Turk while I am building up my Poison Ivy crew were two-fold. Firstly, I wanted a ranged attack option for the crew, and Turk fits the bill. 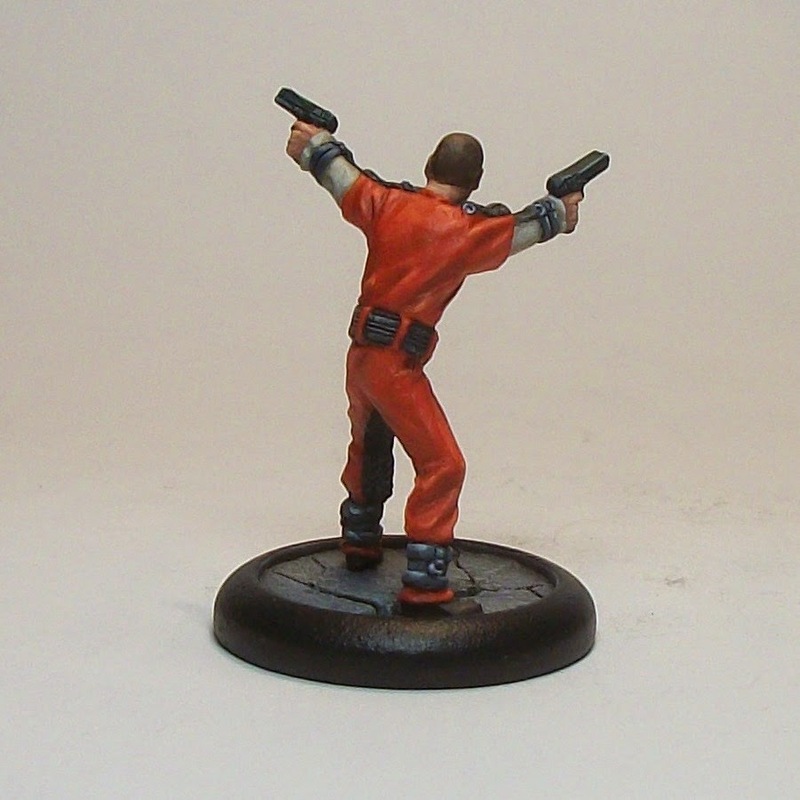 Secondly, a lot of the minis as analogues to the video games have orange prison jump-suits, so this was a test-run on that colour scheme. I have jotted down what I did, so I may be able to batch paint some future Henchmen I hope. 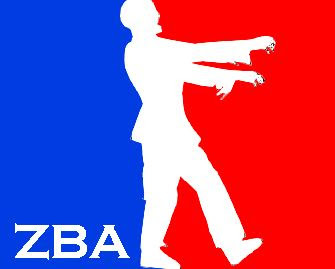 I may be able to get a couple of test games soon (with the possibility of a local opponent!). In the mean time I still have the Plants and Deadshot to get finished before the March tournament. One last thing; as I add painted BMG character minis to the cabinet (anything that isn't an Objective etc. ), I will track my progress at the end of relevant posts - basically a motivator to get more done!